SO as you may or may not know I am officialy a bzzagent. Whats that? Well I get to try out new products and give them my honest feelings about it. They usually give me something to also share with others as well, whether it be more samples of the product or coupons for that product. I am super excited for this opportunity and hope that you find these reviews helpful if you wanted to purchase the item. 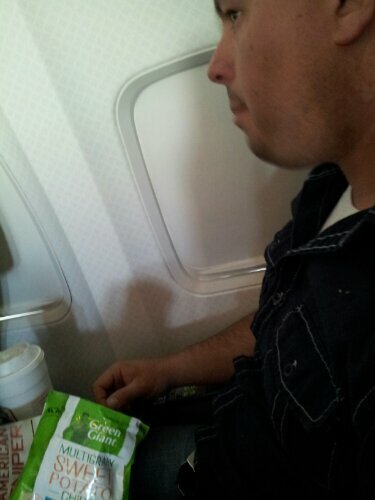 While on our trip to Mexico my husband enjoyed a few bags of sweet potato chips from green giant. Not only did he make sure I had a few bags with me he was upset that he had eaten all of the chips before we took our second flight. According to my husband these chips were “gross” at first. (I think that he had eaten something earlier that left a flavor in his mouth). After his first bite experience I told him to try it yet again he passed. 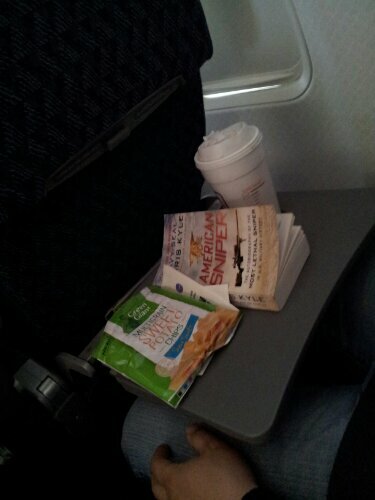 Once we were on the flight a few days later I told him that these were the only snacks I purchased so he had to give them another try. Well needless to say when he finished the bag he wanted another (so he had one). When we just got home from our trip my husband made sure that I went to the grocery store to purchase these snacks for his lunch during the week.